Recipes passed down through generations. Dishes served at local restaurants or by pioneers. 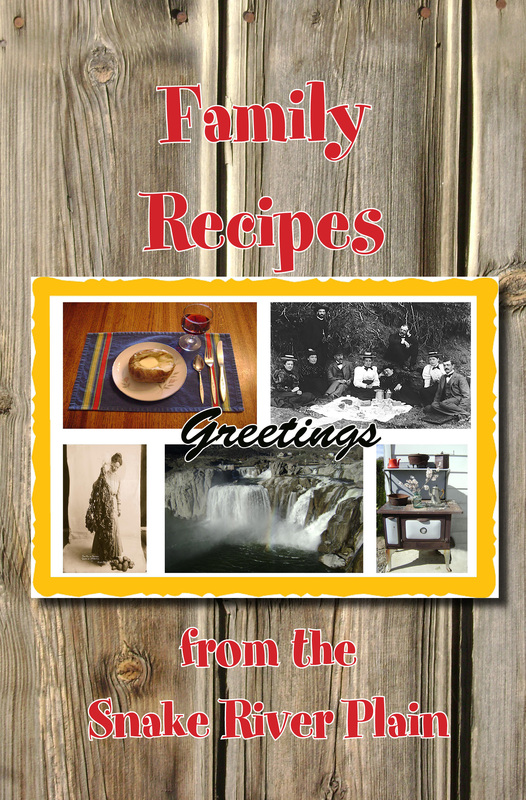 A new book, FAMILY RECIPES FROM THE SNAKE RIVER PLAIN not only features family recipes, but their stories, which were contributed by 27 regional writers. The public is invited to a book launch and signing from 1 to 3 p.m. Saturday, June 13 in the First Federal Conference room of the new Twin Falls Visitor’s Center. The event will include readings, giveaways, and samples of some of the recipes from the book. Published by River St. Press, the book uniquely brings life to the recipes with the stories behind them. The stories include how pioneer Lucy Stricker made gingersnap cookies and griddle cakes for weary travelers, what a cake from home meant to a soldier during World War II, reflections on a grandmother’s lime green Jell-O dessert, the sweetness of Idaho potato candy, and how onions helped a family survive rough times. There is even an ode to fry sauce.